Since 2008, the Architecture K-12 committee has hosted Architecture in Schools, a program developed for 3rd through 5th graders. 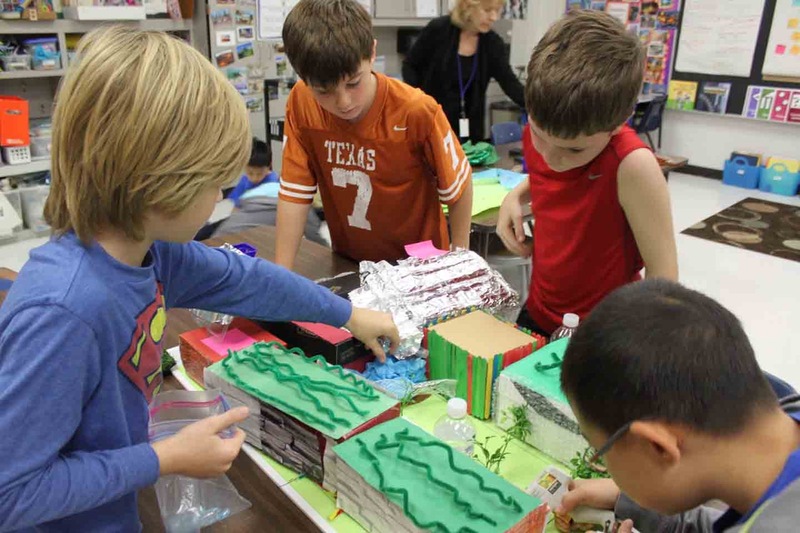 Over the past ten years, Architecture In Schools has been taught in 23 different AISD schools and over 100 individual classrooms, as well as several schools in Eanes, Round Rock and Leander ISDs. In 2018, the Architecture: K-12 Committee adapted the program to work within an after-school format. Instruction is fun, relaxed, and hands-on, with group and individual activities to keep students of different ages engaged with the fundamentals of architecture. In addition, the curriculum is presented in both Spanish and English to suit our bilingual community. We are thrilled to announce that our program has been accepted by AISD Prime Time, which is offered as an after school program in TItle 1 schools. AIA feels that it is especially important to emphasize how architecture touches all demographic and income groups, with the hope of increased interest from underrepresented populations. We are in need of architecture educators! Please email us to learn more about teaching Architecture in Schools.